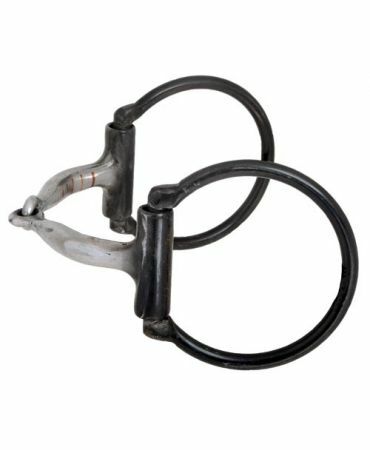 This chrome plated Tom Thumb snaffle bit features a 5" mouth and 6" cheek with rollers. The San Juan Shank Port with copper bars features a versatile mouthpiece that works well on many horses. Horses like this bit a great deal; the copper makes it appealing to a horse's palate.